Have you ever noticed the need for street repairs or clean-up as you run, walk or bike in Terwilliger Parkway; or anywhere in the city for that matter? PDX Reporter provides this easy connection with our city departments and employees. The newest version of PDX Reporter was released by the city’s Bureau of Technology in April of this year. 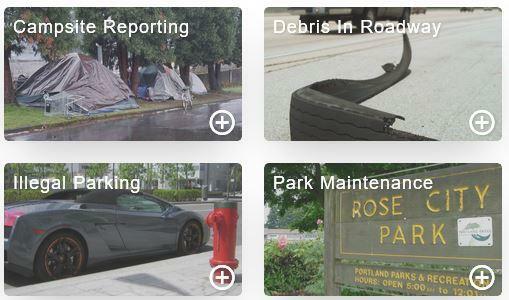 PDX Reporter app is a good, easy-to-use tool for reporting needed service requests for city-related infrastructure such as parks, traffic signals, streetlights, illegally parked cars, graffiti, plugged street drains, and many more issues . Once installed on your smart phone (or tablet or computer), the app lets you record a photo, choose a report type (some examples here), set the location, add any comments, and send the info to the correct city agency. See the PBOT website for instructions on using the app or more about the app update and history.